It’s a long weekend here in the Great White North and while I get both Friday and Monday off, Mr. Tucker works for an American company so he’s working both days. It’s interesting to have a family who often has different holidays off but it has worked out in terms of childcare savings, so not all is lost! As I have mentioned before, we have a great community of active parents who plan various activities. I have my close-knit friend group and we alternate holidays (as you know, I always do Christmas) and Easter is no different. 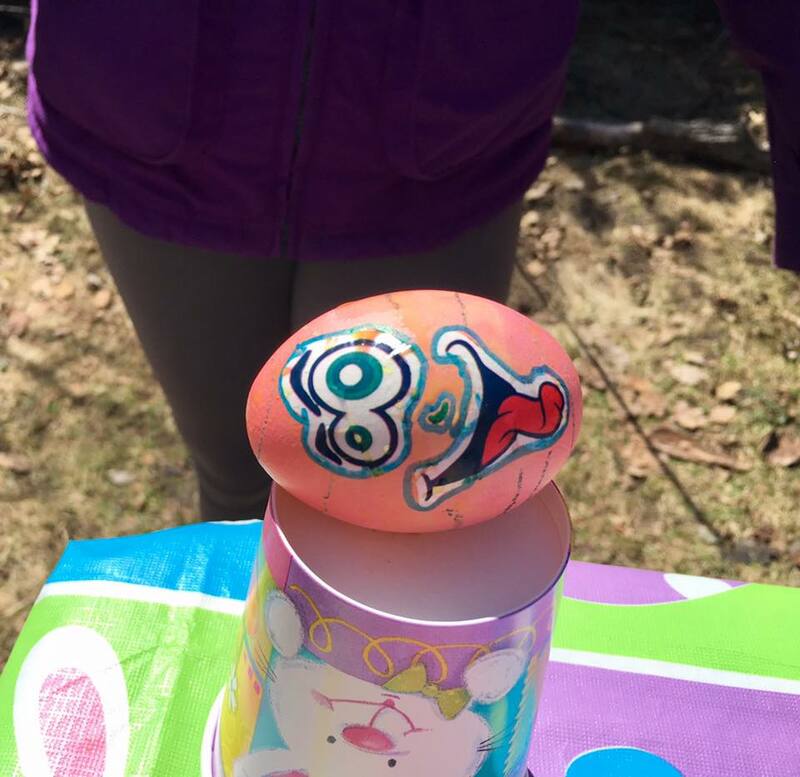 So on Friday I rounded up the kids and we headed over to a neighbour’s house for egg decorating and hangouts. This particular friend lives across the street from the neighbourhood park so the kids went back-and-forth while the parents got to catch up after a long winter indoors. 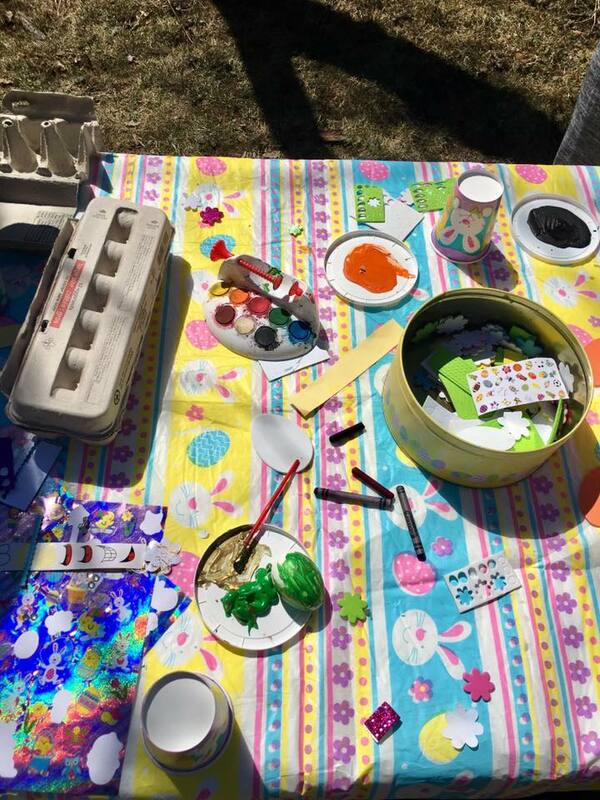 As usual, it was a resounding success and my kids took home some lovely eggs to decorate our Easter table. 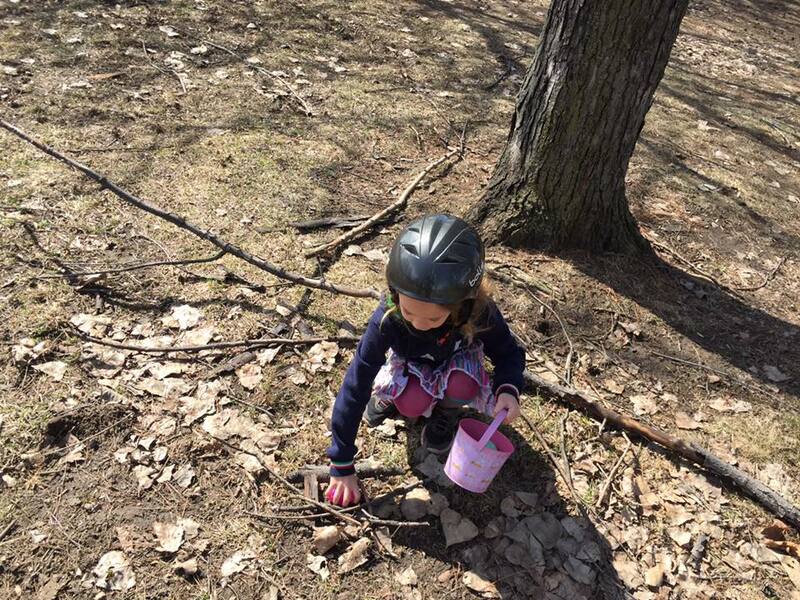 Then Saturday morning was the community Easter egg hunt. 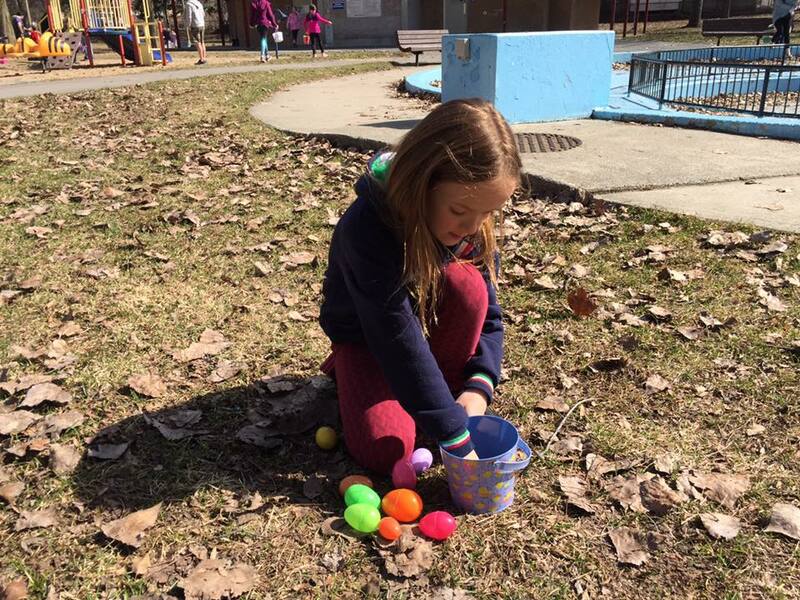 A neighbour organized it so that every parent put together 10 eggs per kid and hid them in the park at 9:30am so when the kids all showed up at 10:30am they could each find 10 eggs for their baskets. I wasn’t actually going to do it but my friend Sara (rightfully) pointed out that I was being a bit of a killjoy and since she happened to have extra eggs & candy for my kids, we should definitely participate. 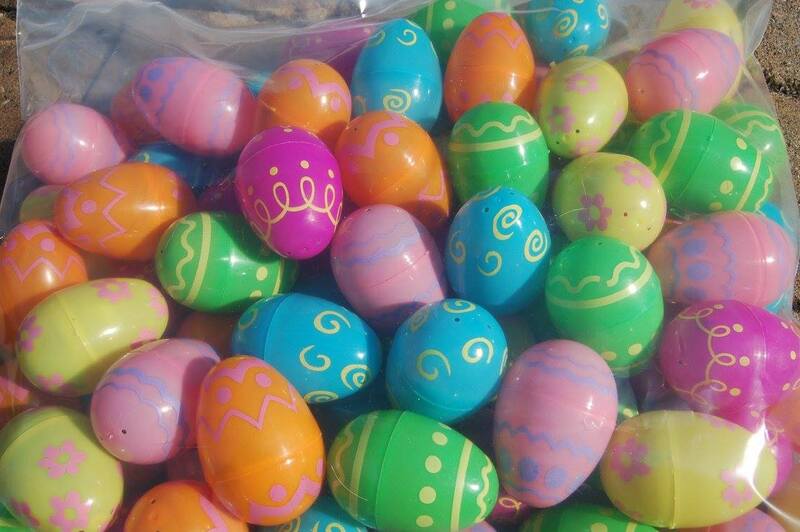 So we did and the kids had an amazing time running around the park, hunting for plastic eggs. Never underestimate the value of an engaged community. I landed here quite accidentally but if I knew now what I knew before I had kids, I would definitely look to culture as a determining factor before choosing where to live. 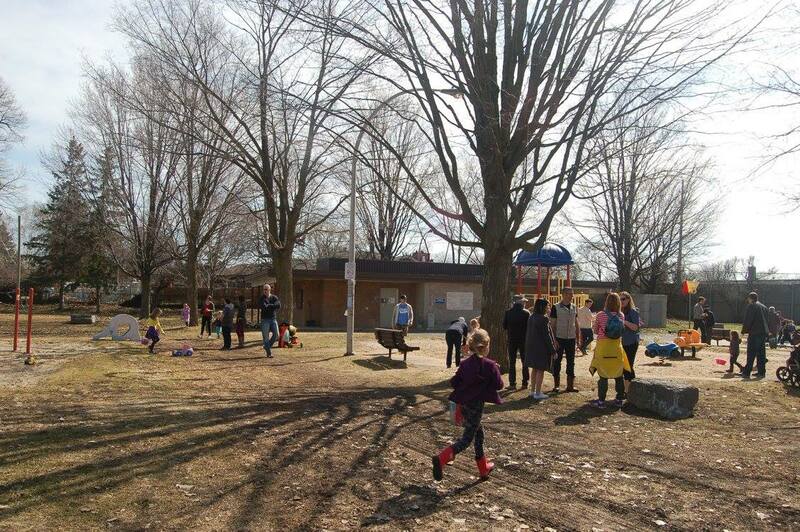 We have a fairly robust facbeook community presence & some great volunteers, and these things have made our little area of the world a great place to raise kids. I have known the same families since my kids were little and there is a lot of value in having your children surrounded by many adults they can turn to and trust. These community events are a fun way to get together and celebrate holidays but the larger piece to this puzzle is having this community has given us all a higher quality of life overall. I know I can send my kids to the park and that there will be an adult close by in case something happens. I know they can bike around the neighbourhood and if something goes wrong, they can knock on someone’s door for help. You can’t buy that kind of comfort and security, it’s created when adults get together and choose to be those people. –	If there isn’t a social media presence for your neighbourhood: start one. This ensures that people who work full time also get included in plans. If you don’t know many people in your neighbourhood, maybe put up posters in high-traffic areas (stores, parks, schools). –	Start an impromptu playgroup for kids. Some SAHPs have ones during the week but a weekend get-together at the local park once-a-month can be a great opportunity to meet the people around. –	Start a club: my friend Sara started our neighbourhood book club when her kids were babies. Ten years later and it is still going strong. There is also a walking club that meets regularly as well. For kids, our neighbourhood had a pick-up soccer team that would get together on Sundays that our friends Trent & Krista coached/organized. –	Get involved in your school, church, library, or community centre. There are often knitting groups, choirs, and sometimes sports-related activities that will help you get out there and meet people in your environs. For me, making friends with my neighbours was a necessity when my kids were young because almost all my friends are child-free – I needed people to hangout with during kid-friendly hours! But making friends with your neighbours will introduce you to people you may never have interacted with had you not been geographically co-located. It exposes you to new ideas, new points of view, and gives you the skills to co-exist with the people around you. In a world where the Internet allows us the ability to be insular, getting out in your community can be a radical act. Awesome post and so well articulated. I’m so pleased to be part of this hood. Another mom started some monthly games nights with a wee group of families and having a walkable adult event is also so nice. That’s awesome! Yes, we sometimes have card nights and we will get together for just drinks and hangouts. Being able to walk is amazing!